Music lovers adore everything and anything that pertains to music. That also includes great inspirational music quotes and sayings. A quote or a saying are words certain people have said which often times end up becoming famous or used by many. In the world of music, quotes and sayings are bountiful. These tend to become popular as they’re uttered by artists, composers or musicians. 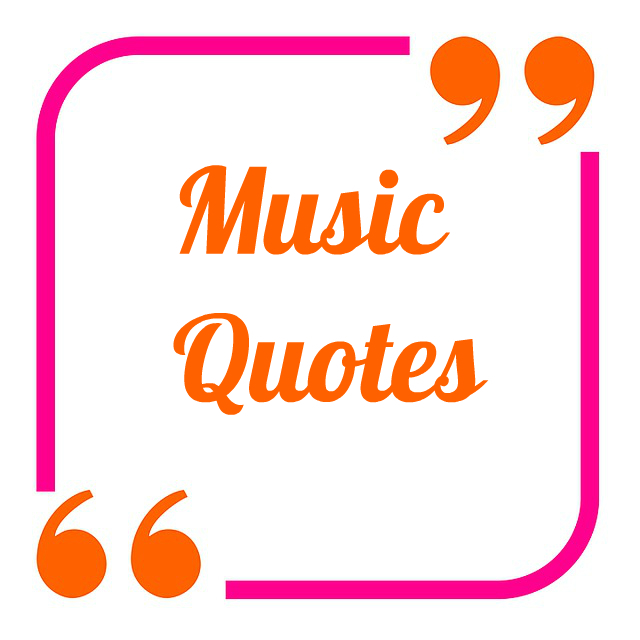 The quotes can come from every kind of music genre and people in and out of the music industry. What Makes A Quote Great? Even though most people do not utter a saying or a quote waiting for their words to be immortalized, this is what often happens many times. There have been numerous instances where artists or someone in the entertainment music industry has opined or said something and the quote ended up becoming famous. Still, in some cases, quotes about music were spoken by people who weren’t even in the music industry. Singer-songwriter Bono, the lead vocalist of the rock band U2, is well known in the music industry. He once said “” Music can change the world because it can change people.” The quote is very true indeed since songs and music can influence us in so many ways. Below are some of the best quotes and sayings which every music lover or people who love sayings can truly appreciate and enjoy. Life is a song. Love is the lyrics. Family are like music, some high notes, some low notes, but always a beautiful song. When the pain penetrates, the music resonates. My brain is 80% song lyrics. Music says the words we’re too afraid to speak out loud. I believe in music the way some people believe in fairy tales. I love it when I hear lyrics that totally apply to my current situation. Without music, life would be really really hard. Ever wondered What Made Humans Invent Music? For music lovers, music is everything. It is because of music that many of us are able to cope during the worst moments in our lives. Whether it is due to pain from a broken heart from a relationship, a loss of a loved one or anything else, music soothes the heart and soul. In the same aspect that music helps many around the world to cope with feelings and emotions, inspirational quotes and sayings about music can often do the same.